Vis island is one of the remotest in the Adriatic. The distance of the island from Dubrovnik is about 92 NM (nautical miles) (170 km) and from Split is about 29 NM ( 53 km). There are no direct ferry connections from Vis to Dubrovnik. However, there are several options to consider depending on your circumstances and preferred way of travel, all detailed below. The island has daily 2 direct ferry connections with Split – car and foot passengers. It also has foot passenger connection with Hvar and Milna (Brac Island) twice a week only. 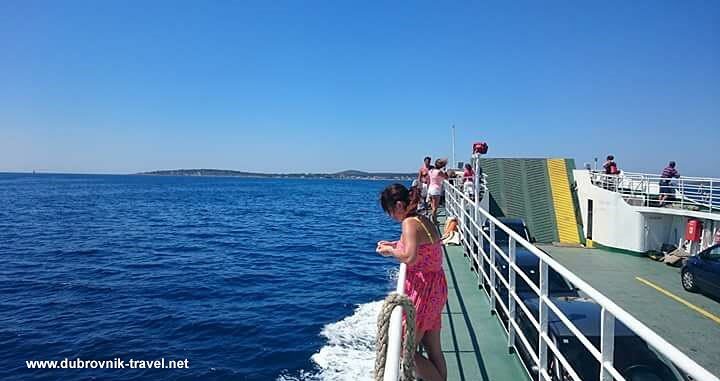 Take the same ferry as above to Split, spend the day there and take an afternoon ferry (16:10) to Dubrovnik. You will be there at 22:15. This option is available daily from June to September only. Return journey Dubrovnik to Vis on Tuesdays: Depart Dubrovnik by ferry at 07:00 you are in Hvar at 10:30. Enjoy your day in Hvar Town and take afternoon ferry from Hvar at 17:15. You will arrive in Vis at 18:10. This option is available on Tuesdays from June to September only. For return journey Dubrovnik to Vis on Wednesdays: Depart Dubrovnik by ferry at 07:00 you are in Brac Island (Bol) at 11:40. Take a bus or taxi to Milna and at 18:40 get on the ferry to Vis. You will arrive in Vis at 19:35. This option is available on Wednesdays from June to September only. For return car journey from Dubrovnik to Vis, it is good to know there are Split to Vis car ferries 3 times a day, the latest one at 21:00 arriving in Vis at 23:20 approx. Make sure you get in Split by 20:30 to have some time to embark on the ferry. In winter time, there are two sailings only, the latest one at 18:30. On the above map, you can see some directions for travel from Vis island to Dubrovnik. I included some stopovers for you to see the distances, routes and generally to get familiar with the area. The routes on the map are not exhaustive as they are missing some important ferry connections. Nevertheless, the map is convenient as a starting point for your exploration. Choose different starting points on the map panel to see a particular travel route.